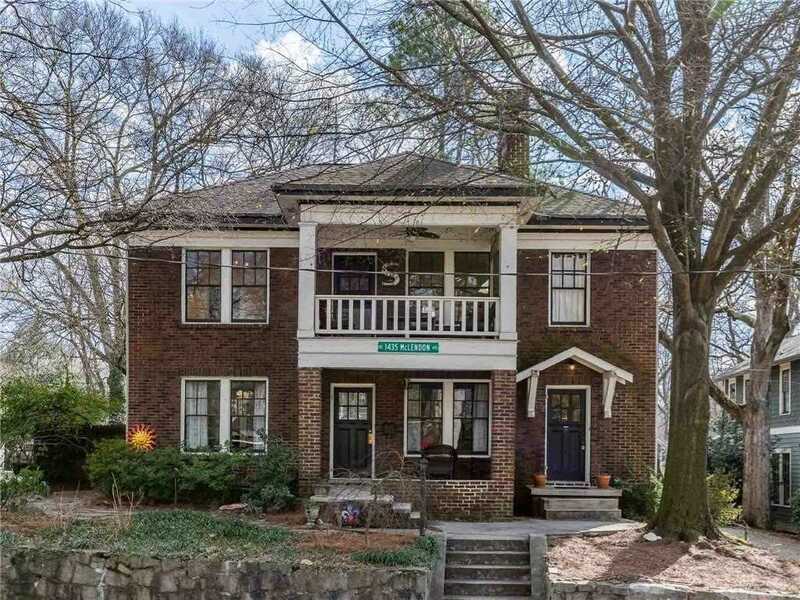 Classic Brick home built in 1910! It still has great old world charm.Systems and roof have been updated. Baths have new tile floors. Galley kitchens have great storage and Butler's pantries. Currently the home is opened to accommodate owner's family but all componets are in place to use as a duplex. Narrow strip oak flooring, fireplaces on both levels, bonus rooms on each floor, decks, porches, solarium upstairs, covered parking in back. One block to Candler Park and a couple of blocks to shops and restaurants. This is a terrific location and opportunity! Directions:Moreland Ave to Little 5, east on Mclendon to above on left. Or Ponce to Clifton, head south, then west on McLendon to above. SchoolsClick map icons below to view information for schools near 1433 Mclendon Ave NE Atlanta, GA 30307.